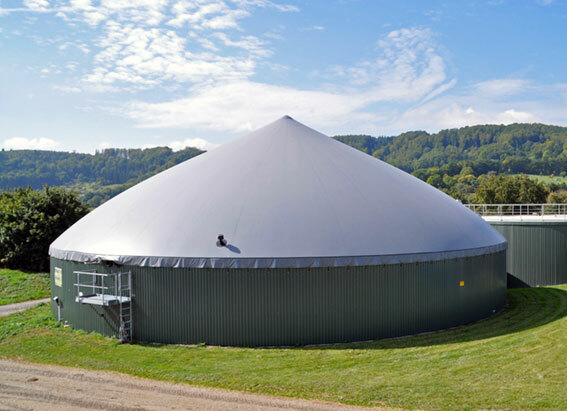 What is Biogas Energy ? 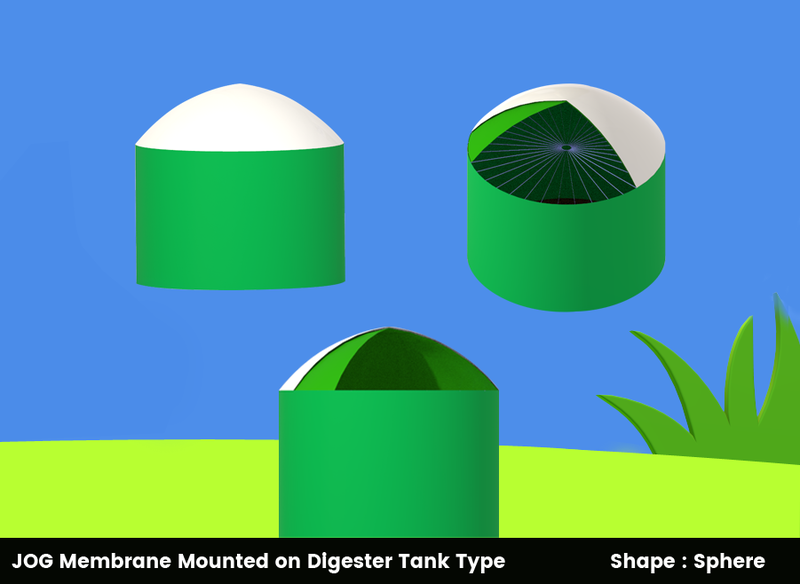 Double Membrane Biogas Balloon/ holders are used for biogas storage. It’s mounted tightly on the roof of the Digester and separated sphere on surface of Land. 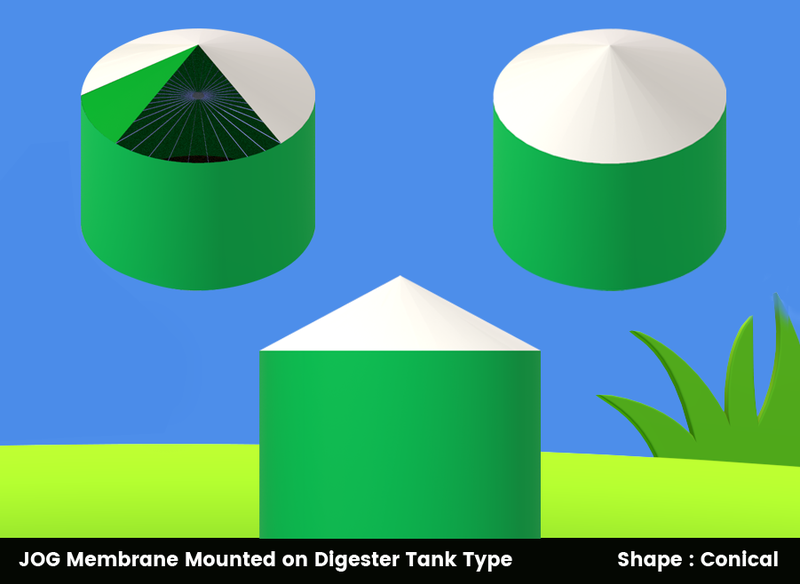 The Biogas holder system has a double membrane structure. The external cover dome is made of PVC and produced with special additives that are ultraviolet and precipitation resistant. Internal membrane, which is in direct contact with biogas, is made of a special material. The internal membrane is stretched by the pressure of the produced biogas. Air is pumped between the cover dome and internal membrane so that it provides pressure to the upper side of the membrane and gives a spherical shape to the cover dome. Biogas Double Membranes are designed and cut using machines with numerical program control. Welding is performed using high-frequency current welding. This gives considerable advantages in quality if to be compared with membranes that are handmade and glued or welded by heating elements. The hermetic sealing in gas holder mounting systems are secured by pilot-operated check valves. For gas holder safe operation an excessive pressure valve is installed. Inspection holes and branch pipes are included into the scope of the gas holder supply. Biogas pressure inside the gas holder on average is from 200 to 500 Pa. 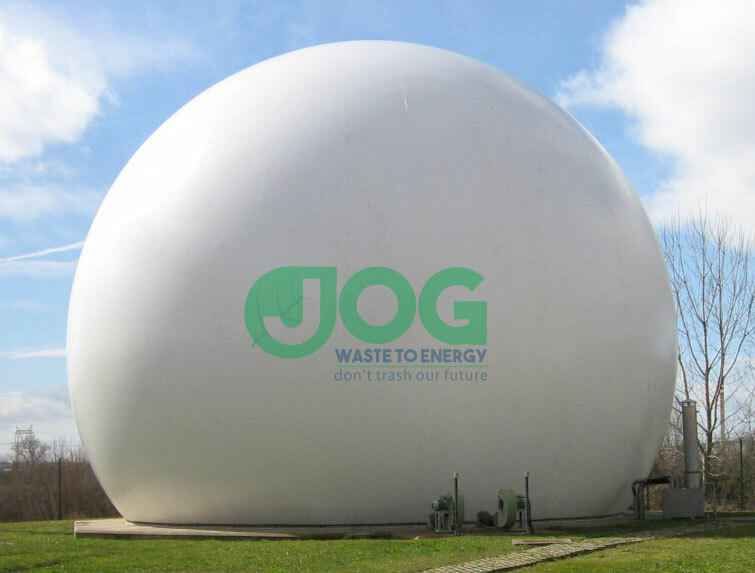 The gas holder provides enough for 2-3 hours storage of biogas. Why our membrane biogas Balloon holder better than the other ? 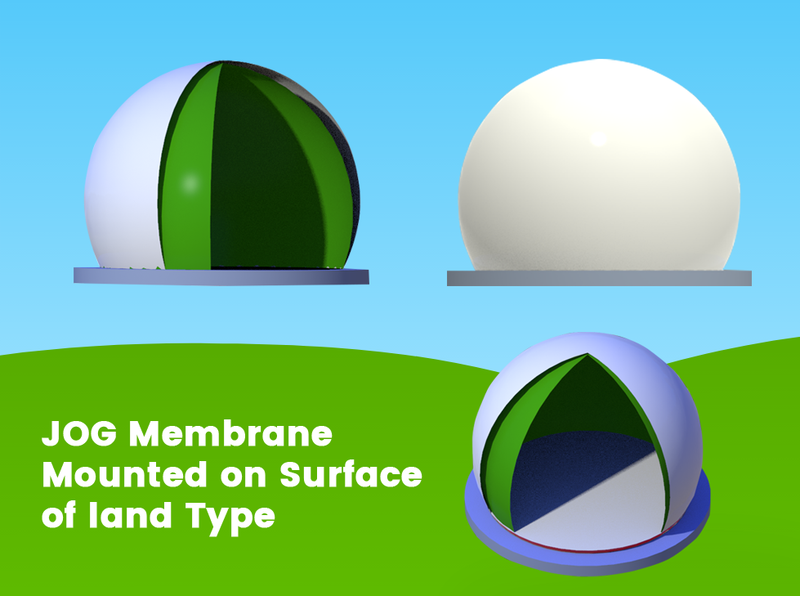 Membrane Mounted on Surface of land type is separated sphere. 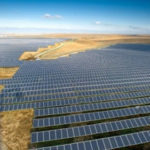 It can store and output biogas independently, and can be erected on the ground. It can store large amount of biogas. There is no need to climb high when use, observe and repair. This system is separated with fermentation cylinder, when one of this is under repair, the other will not be affected. The membrane structure is put on the top of the tank that biogas storage and output are in the whole structure. The whole structure likes the ball. Costs less than Mounted on Surface of land. This system can be both regarded as top tap of the tank and the storage system. This saves space and money. 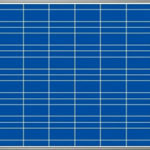 This is suitable for those projects of daily biogas-output at the middle or below. The membrane structure is put on the top of the tank that biogas storage and output are in the whole structure. The whole structure presents to be cone-shaped. The top tap is cone-shaped, which is good for the melt of snow, and suitable for the raining area.